Pondering Angel. St. Bonaventure cemetery Savannah Ga. When you start wearing progressive bifocals with clarity and uva/uvb then put on some enhanced sunglasses (I use copper shade) this is what you see. This is not grunge but fused and I use a CPL to get the most color enhancement. PP Photomatix Pro Fused with Lens correction in Lightroom 5.
ponderingangelst. 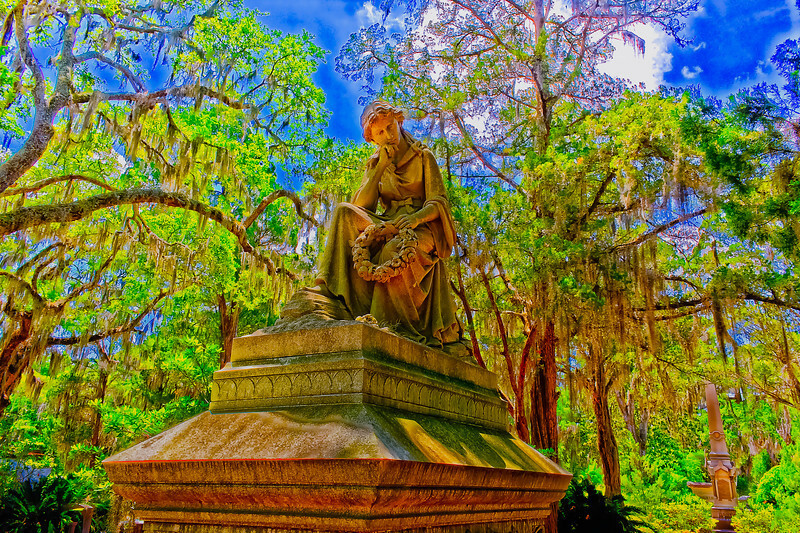 bonaventure cemetery savannah ga.